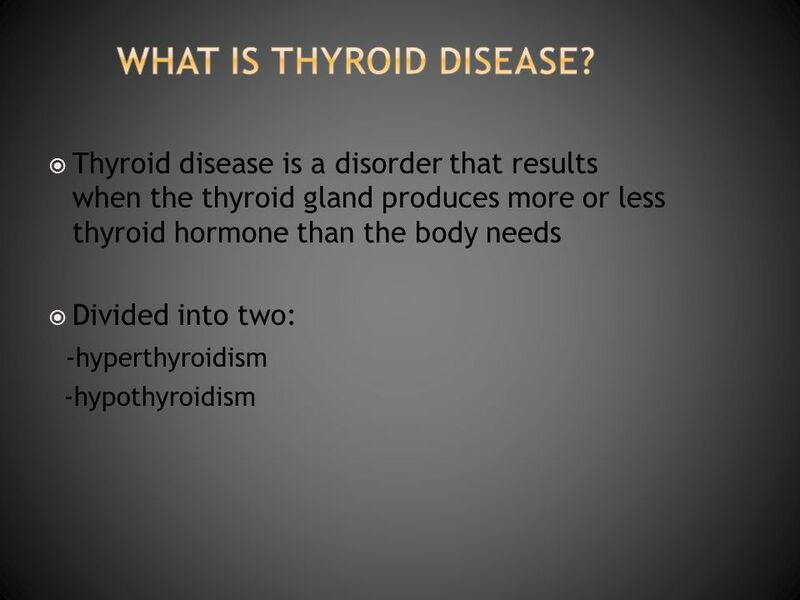 2 What is thyroid disease? 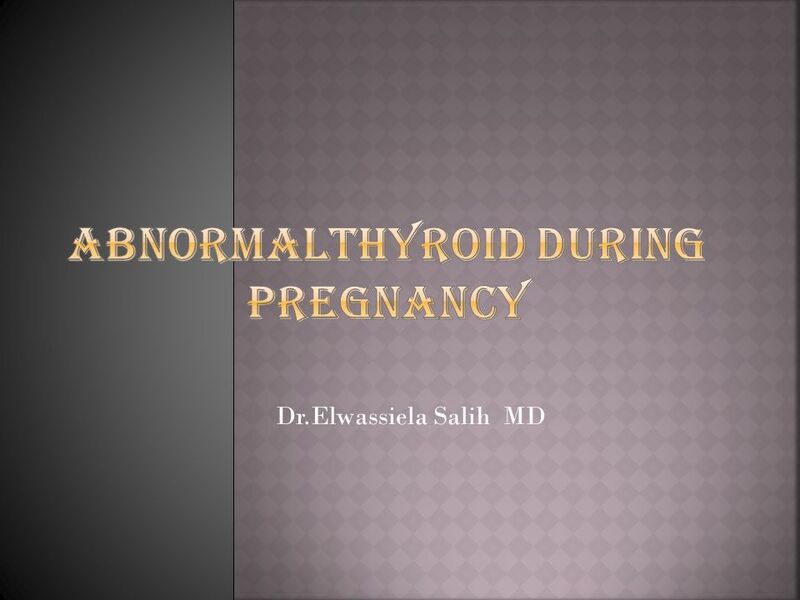 3 How does pregnancy normally affect thyroid function? 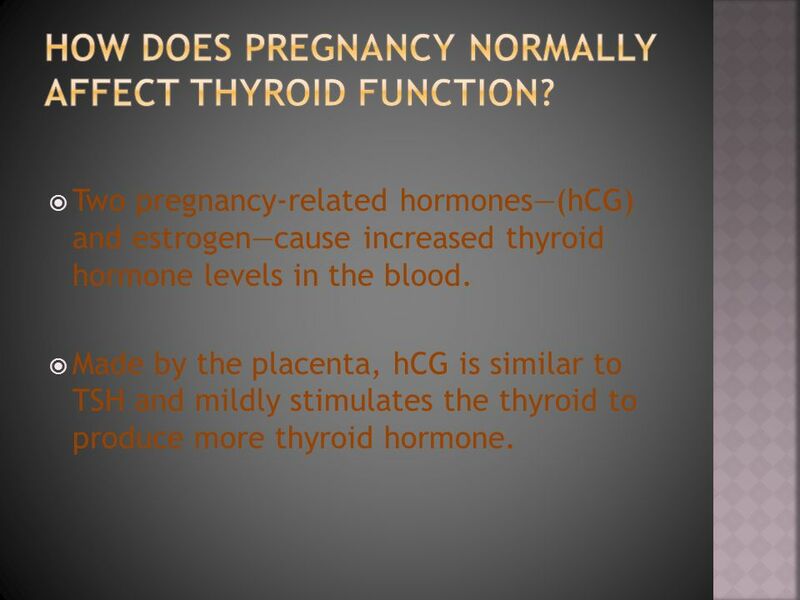 Two pregnancy-related hormones—(hCG) and estrogen—cause increased thyroid hormone levels in the blood. Made by the placenta, hCG is similar to TSH and mildly stimulates the thyroid to produce more thyroid hormone. 4 Increased estrogen produces higher levels of thyroid-binding globulin, a protein that transports thyroid hormone in the blood. 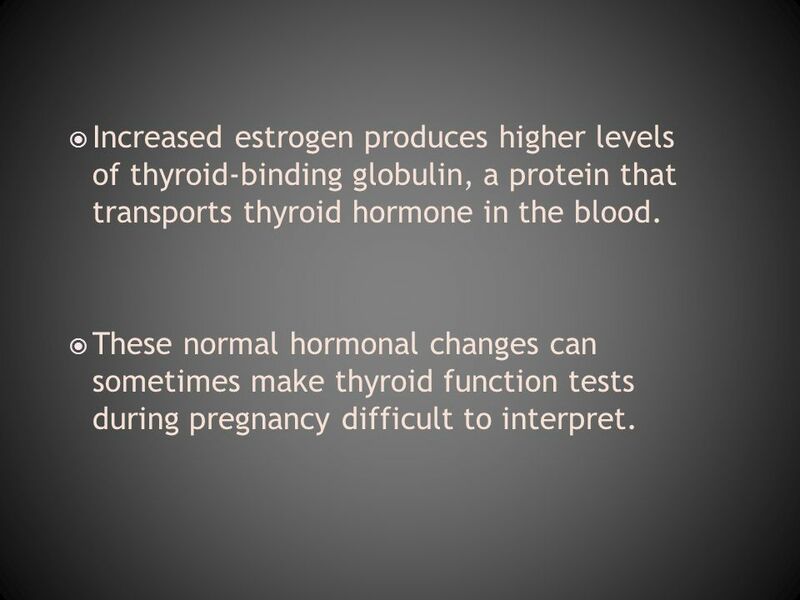 These normal hormonal changes can sometimes make thyroid function tests during pregnancy difficult to interpret. 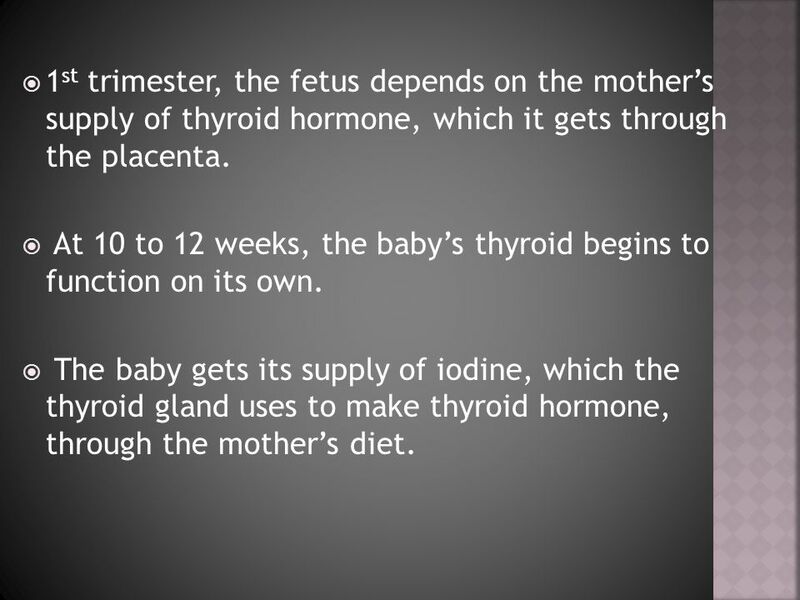 5 1st trimester, the fetus depends on the mother’s supply of thyroid hormone, which it gets through the placenta. 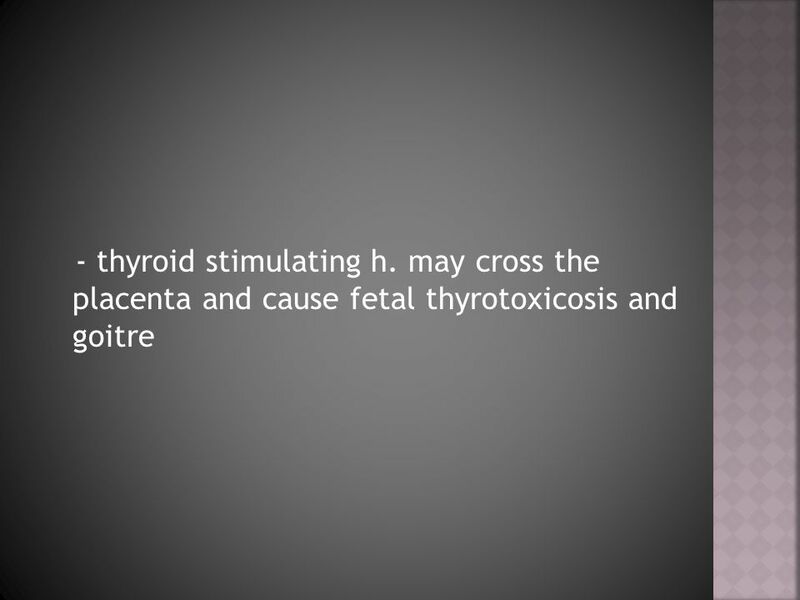 At 10 to 12 weeks, the baby’s thyroid begins to function on its own. The baby gets its supply of iodine, which the thyroid gland uses to make thyroid hormone, through the mother’s diet. 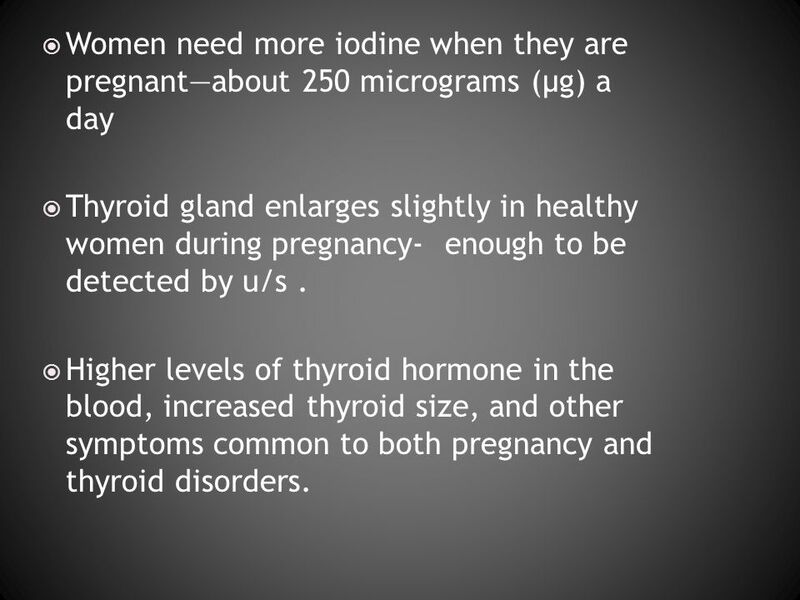 Thyroid gland enlarges slightly in healthy women during pregnancy- enough to be detected by u/s . Higher levels of thyroid hormone in the blood, increased thyroid size, and other symptoms common to both pregnancy and thyroid disorders. 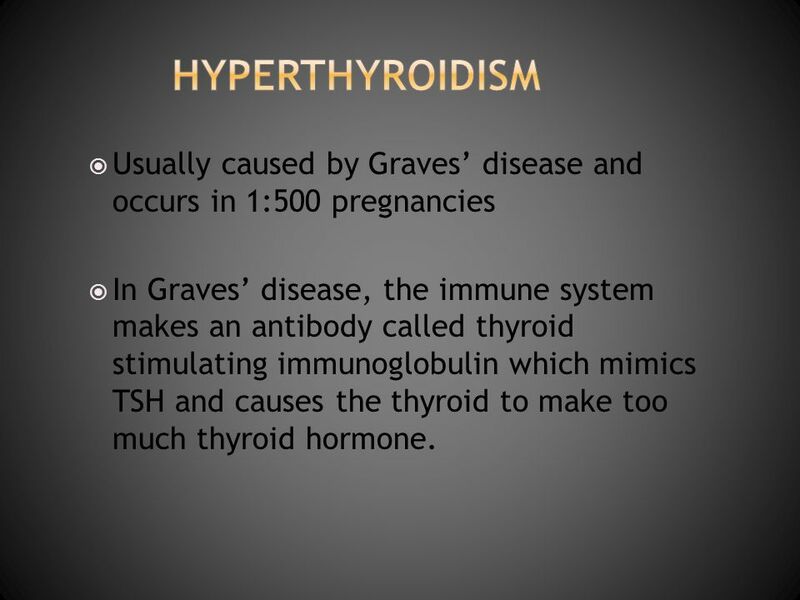 7 HYPerthyroidism Usually caused by Graves’ disease and occurs in 1:500 pregnancies In Graves’ disease, the immune system makes an antibody called thyroid stimulating immunoglobulin which mimics TSH and causes the thyroid to make too much thyroid hormone. 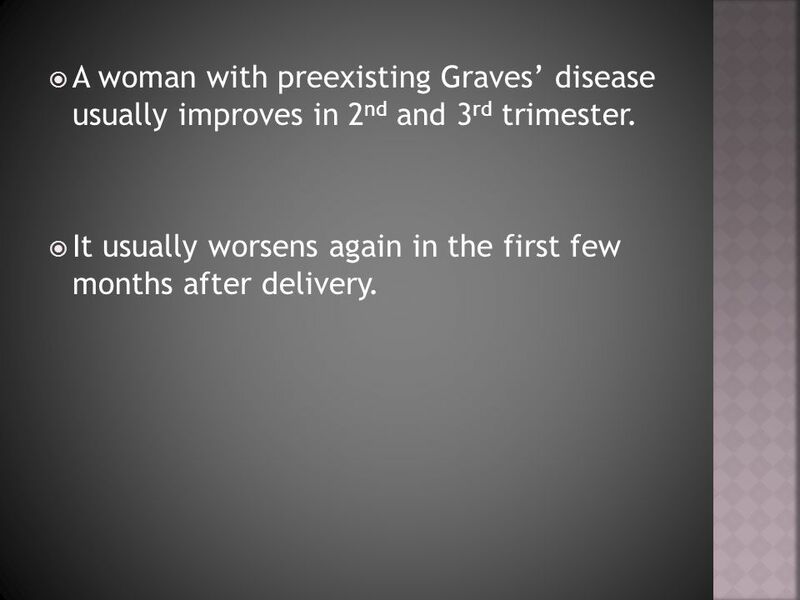 8 A woman with preexisting Graves’ disease usually improves in 2nd and 3rd trimester. It usually worsens again in the first few months after delivery. 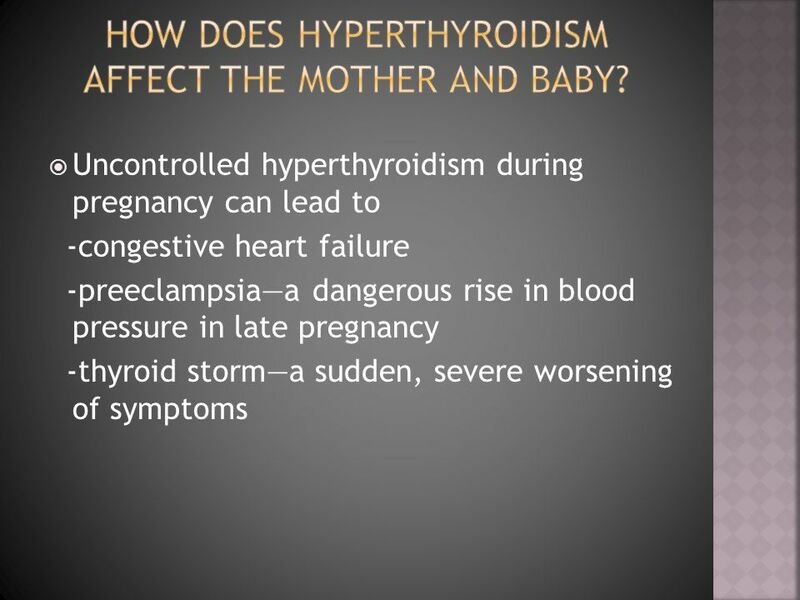 9 How does hyperthyroidism affect the mother and baby? 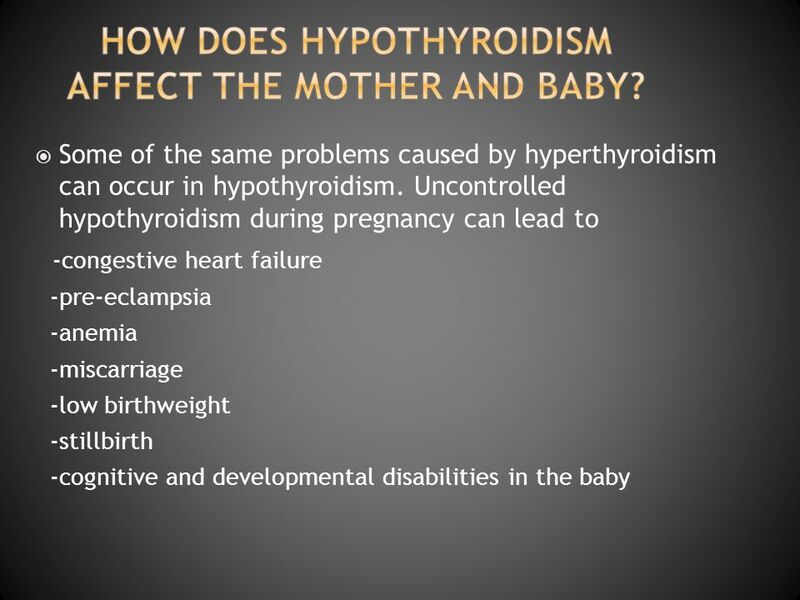 16 How does hypothyroidism affect the mother and baby? Symptoms of hypothyroidism in pregnancy include -extreme fatigue -cold intolerance -muscle cramps -constipation -problems with memory or concentration. 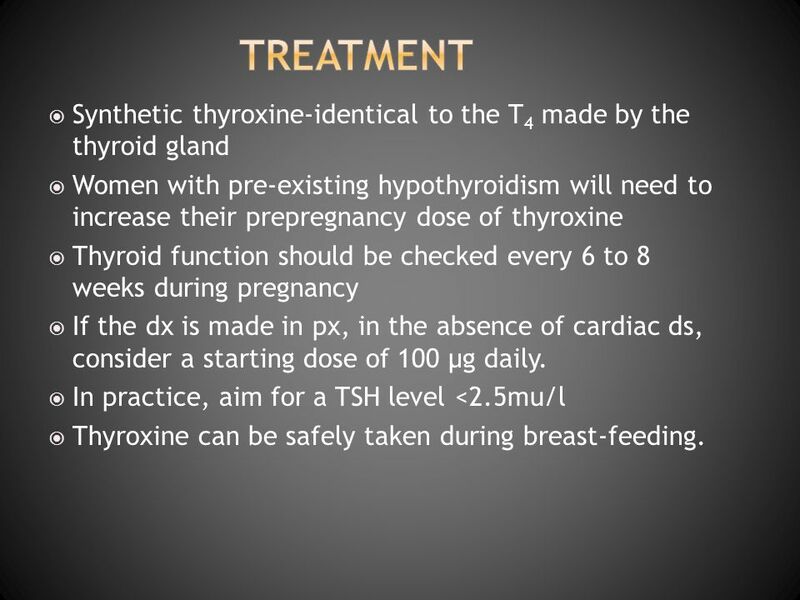 18 treatment Synthetic thyroxine-identical to the T4 made by the thyroid gland Women with pre-existing hypothyroidism will need to increase their prepregnancy dose of thyroxine Thyroid function should be checked every 6 to 8 weeks during pregnancy If the dx is made in px, in the absence of cardiac ds, consider a starting dose of 100 μg daily. 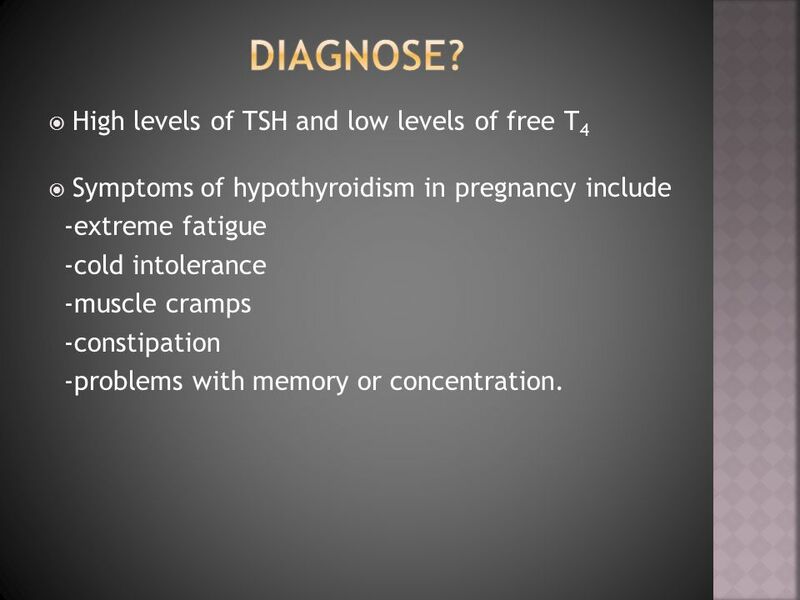 In practice, aim for a TSH level <2.5mu/l Thyroxine can be safely taken during breast-feeding. 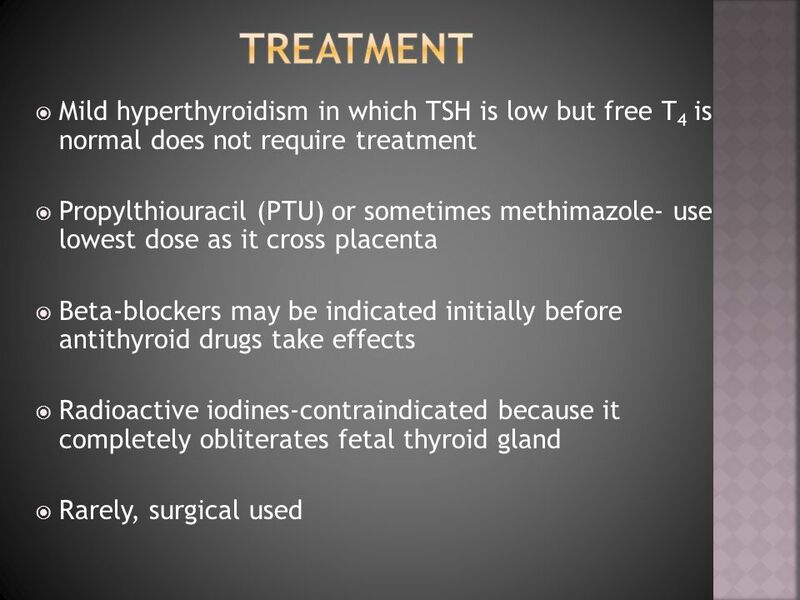 Download ppt "AbnormalTHYROID During Pregnancy"
Frank P. Dawry Therapy of Hyperthyroid Thyroid Disease with Iodine-131. 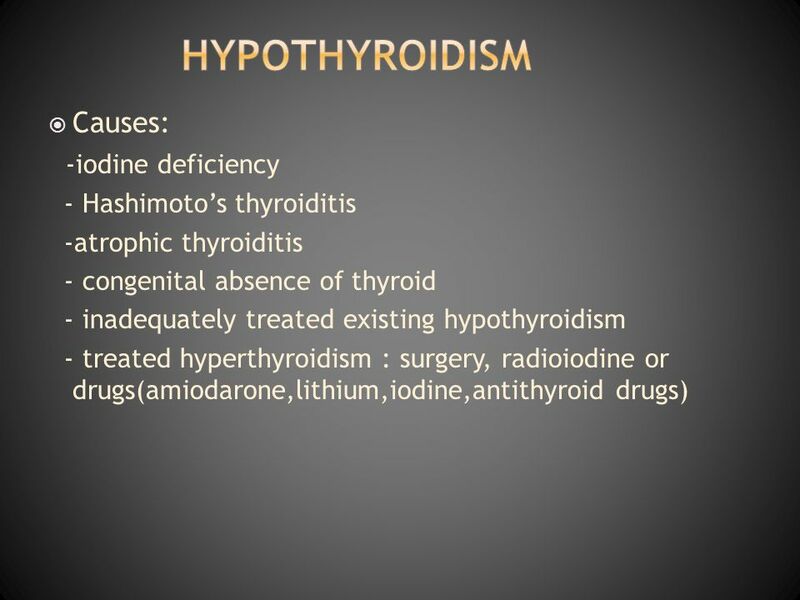 Hypothyroidism Dr Fidelma Dunne Senior Lecturer Department of Medicine UCHG. 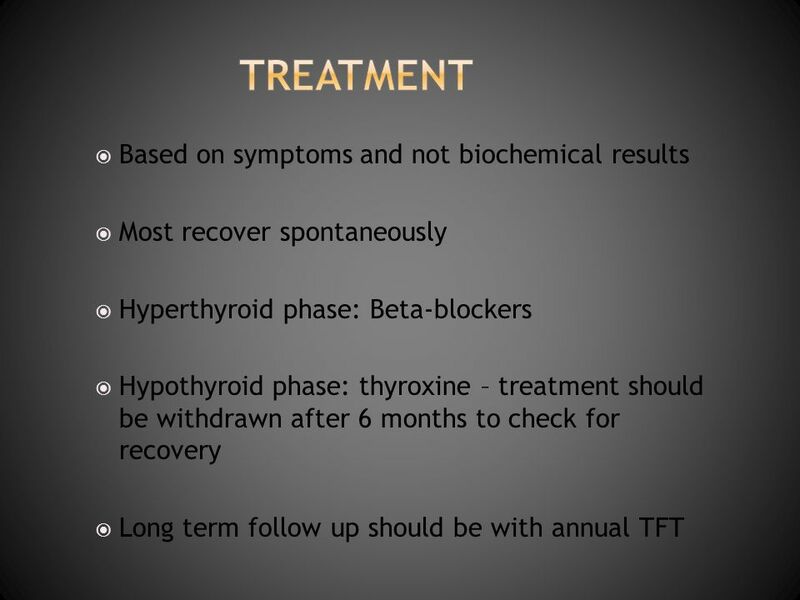 Thyroid gland The normal circulating thyroid hormones are Thyroxine T4 (90%),Triiodothyronine T3 (9%) and rT3 (1%). Reverse T3 (rT3) is biologically inactive. Thyroid Screening in Pregnancy Rhys John Dept of Medical Biochemistry University Hospital of Wales Cardiff. 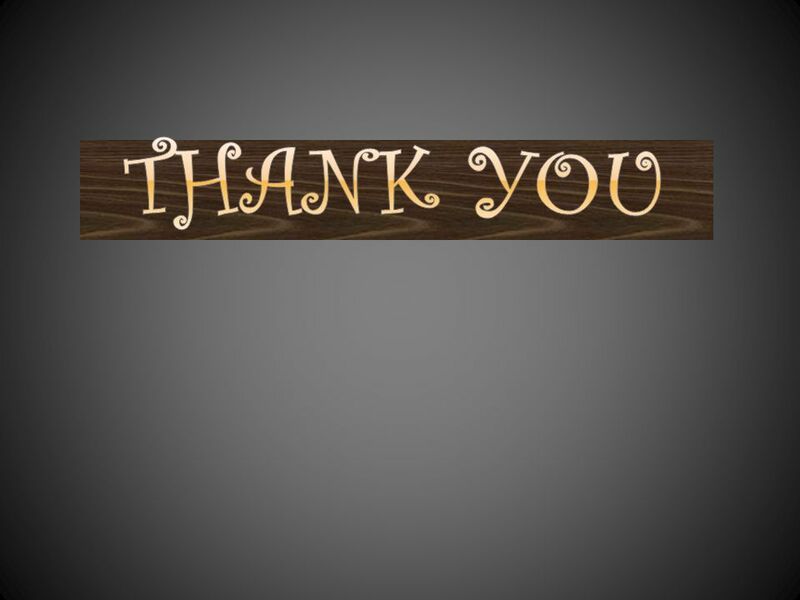 Weight loss ERWEB case. History A 45-year-old lady attends surgery with a three months history of hot sweats, palpitations, tremor and weight loss of. 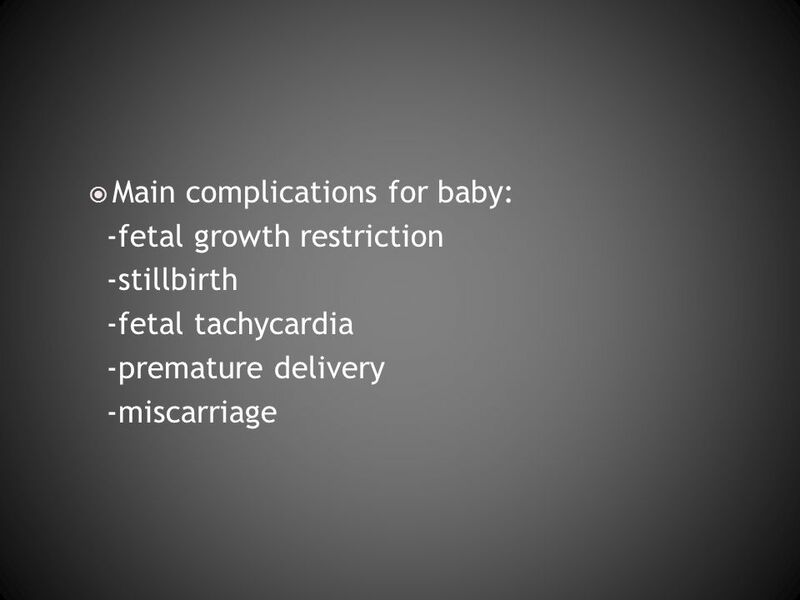 THYROID DISEASE IN PREGNANCY: TREATING TWO PATIENTS Susan J. Mandel, MD MPH Perelman School of Medicine, University of Pennsylvania. By: Jessica Stevens.  Actions of the thyroid ◦ Controls body temperature ◦ How body burns calories ◦ Controls how fast food moves through digestive tract. 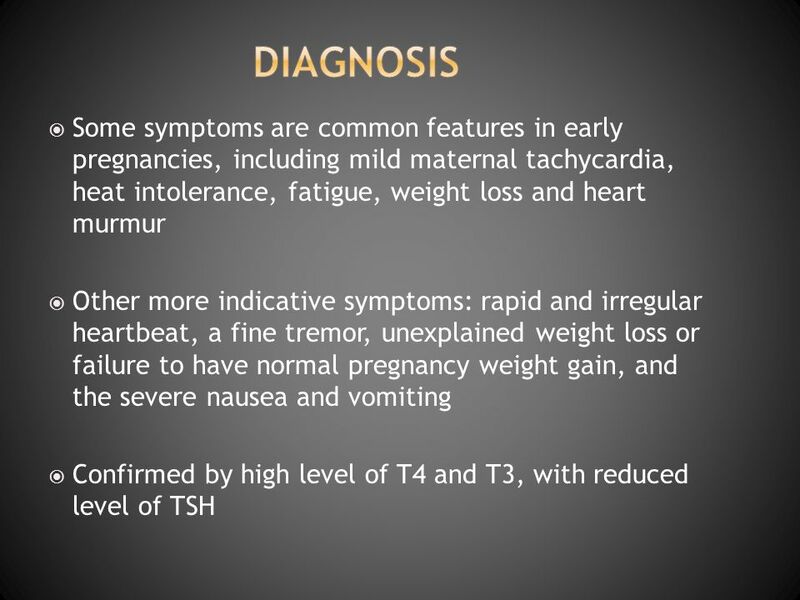 THYROID DISEASE IN PREGNANCY. 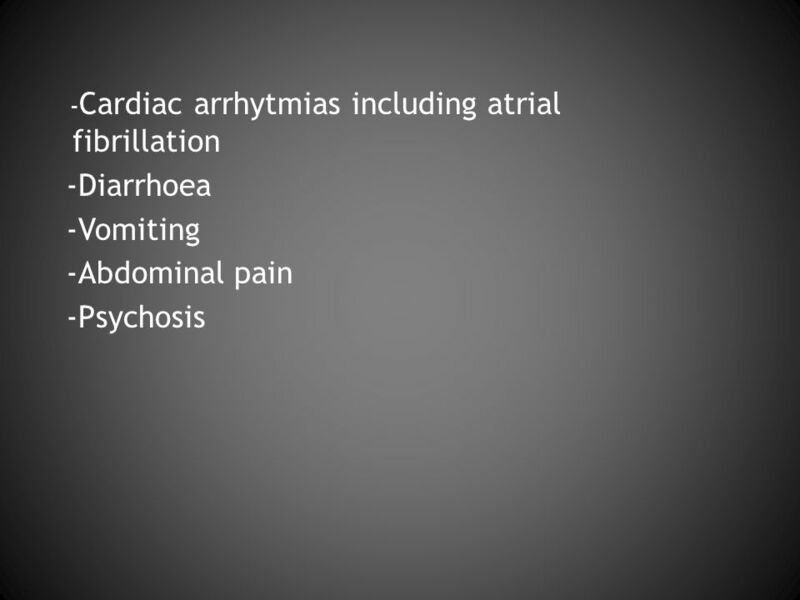 Physiologic Changes in Pregnancy Free thyroxine levels remain within the normal range during pregnancy (though total thyroxine.